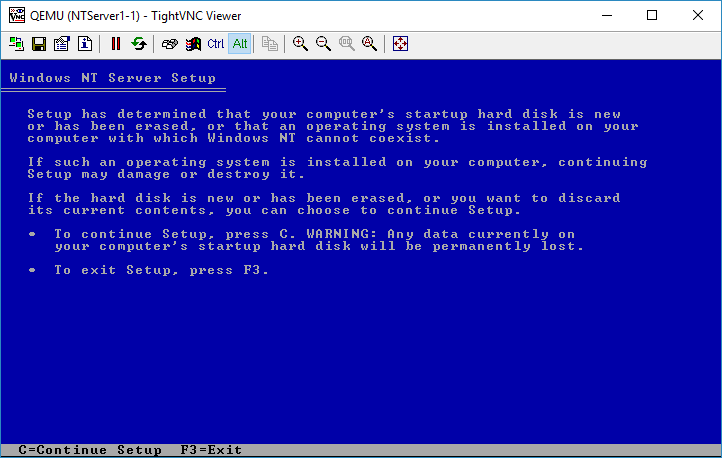 One of my favorite things about VMware is that it can run itself. This allows me to test & stage new setups, test API stuff on my desktop, allowing me to build a “micro data center” that I don’t need to ask & beg for permission to take down, or if I do something stupid, I’m just a quick revert away from putting it back, and more importantly not making other people mad. 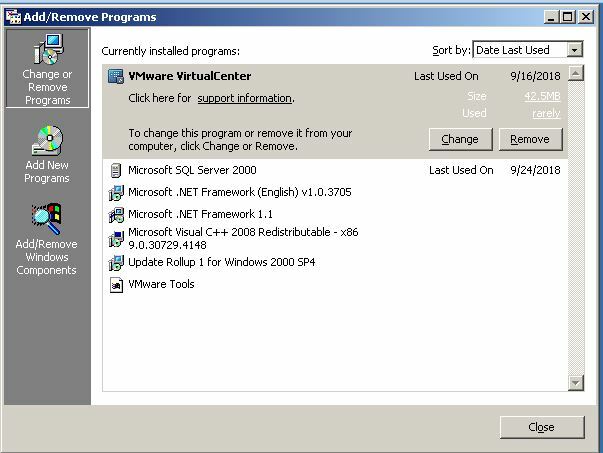 This also let’s me step back in time, in this case to the dark & ancient world of 2005, where I’d first deployed VMware ESX 2.5.2 along with vCenter 1.3.1 . I figured that I could use my ancient Dell P490, as I’d been using it as a desktop at home for casual use, but this seemed like a good thing to stress the system on. 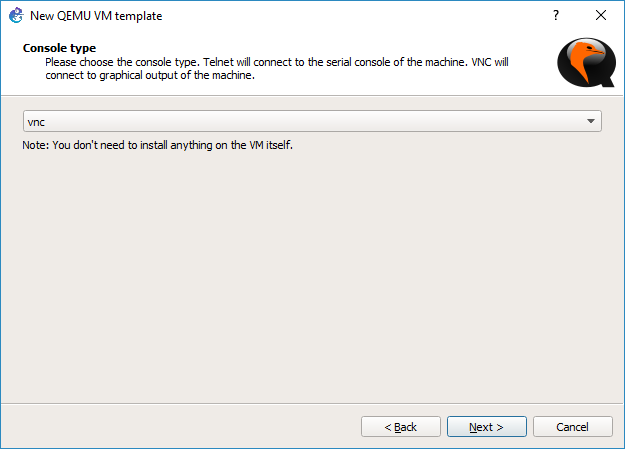 Also handy to have is the installation guide, which VMware still has online. 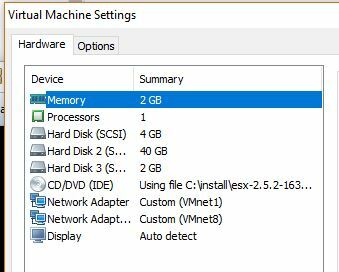 I installed Windows 10 Pro, and VMware Player 12.5.9, The box has a single physical processor that is dual core, 8GB of RAM and a 1TB disk. Not exactly a high end machine, but it’ll suffice. 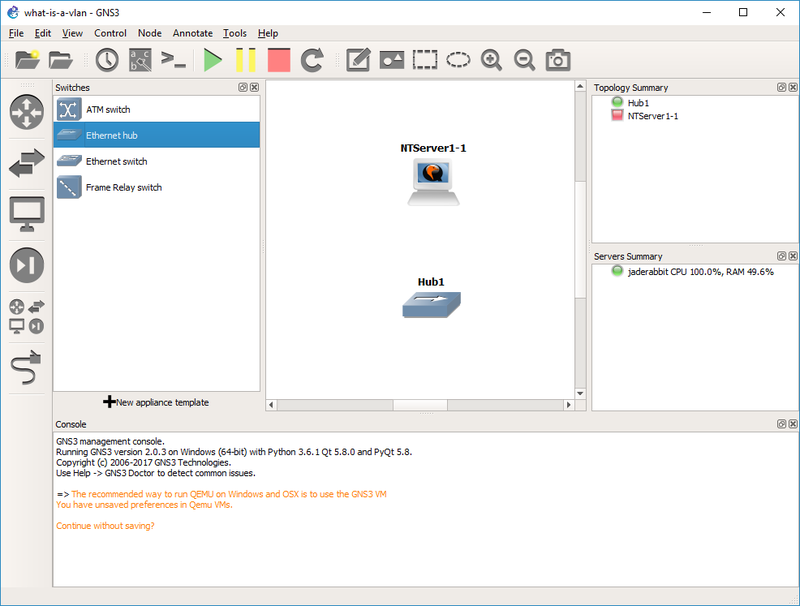 The first thing to do was install ESX 2.5.2, I’d set it up as a Linux VM, with 1 CPU, 2GB of RAM, and 3 disks, one for the OS, another for SWAP, and a Data store / Data disk. 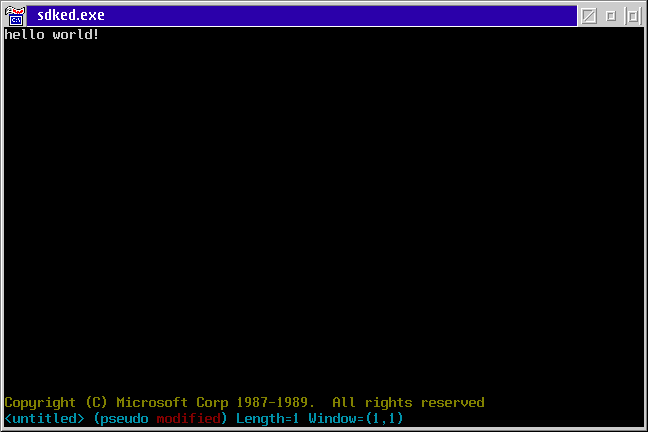 After the nice GUI setup is completed we are dumped to a console on reboot. 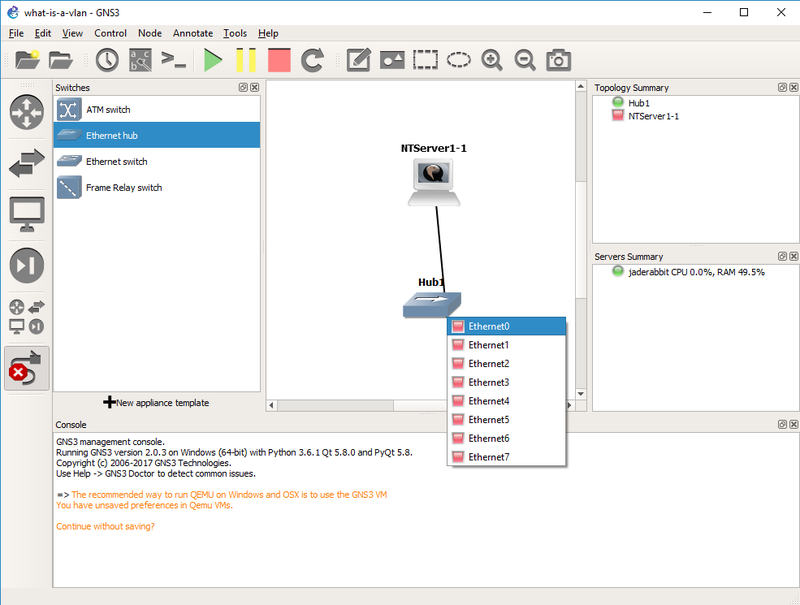 ESX is meant to be managed remotely. 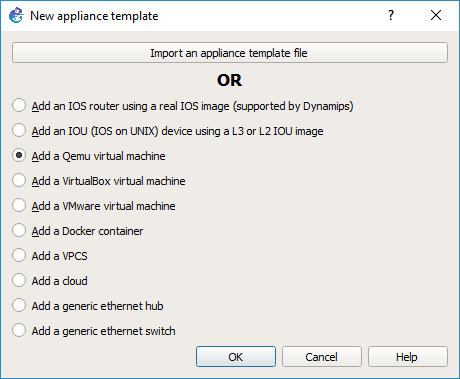 Once the OS installed, edit the VMX file, and make the following changes, to allow VMware to setup the passthrough capabilities so the VM can run other VMs. 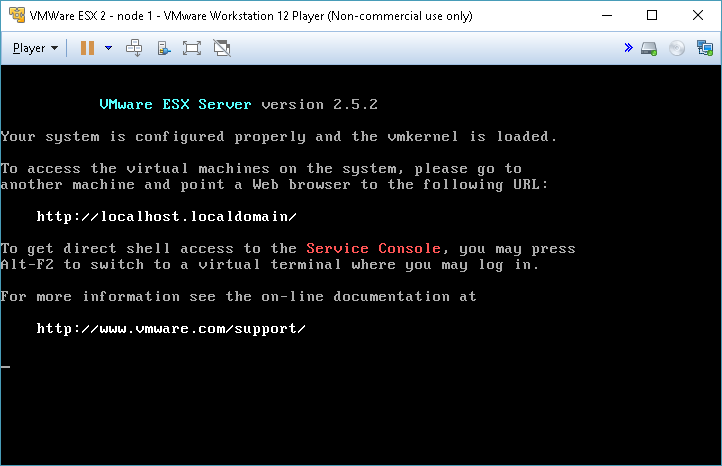 Now the Version will report that it’s VMware ESX. 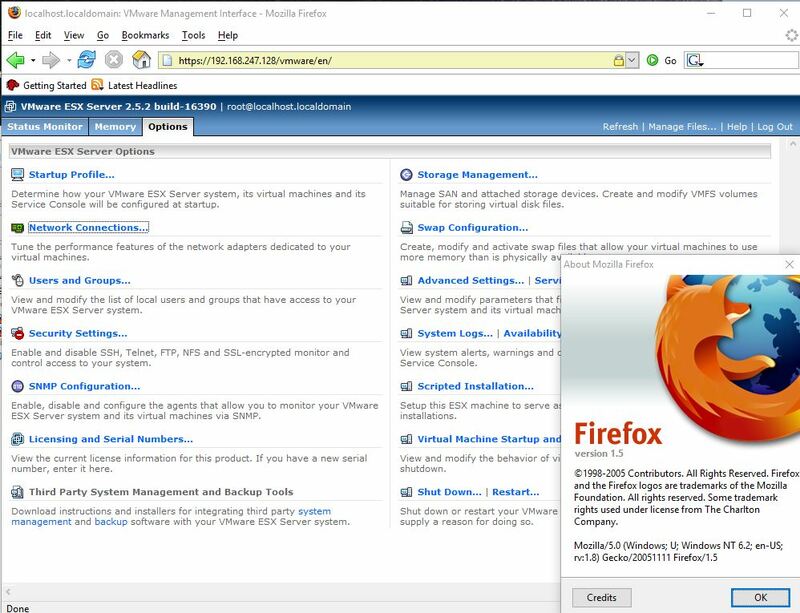 The other thing you’ll find out quickly is that you need a browser to manage the server (funny how things went back to this direction, later versions relied entirely on the ‘fat’ .NET client), and I found that FireFox 1.5 works the best. 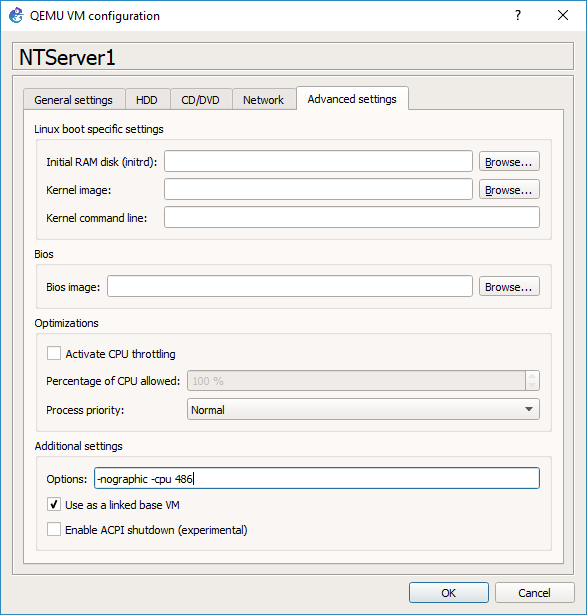 The .NET client requires .NET 1.1 to operate correctly. 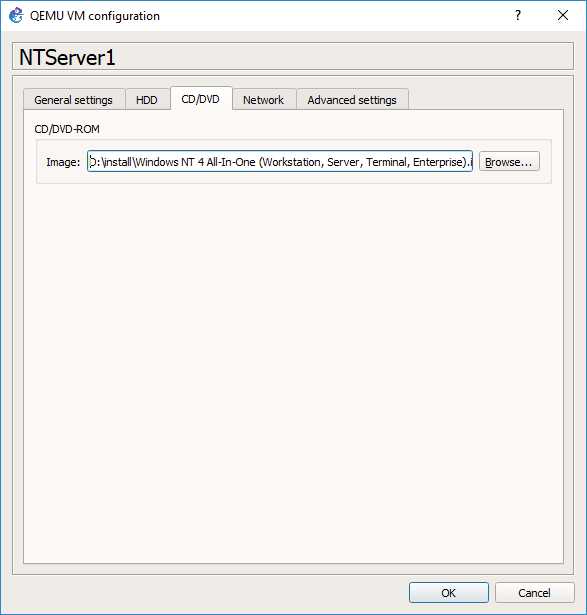 It will not install on Windows 10 by default, as the .NET 3.5 (which includes .NET 2.0 runtime) is not acceptable, it has to be the 1.1 runtime, along with the J# runtime, which it’ll install if needed. 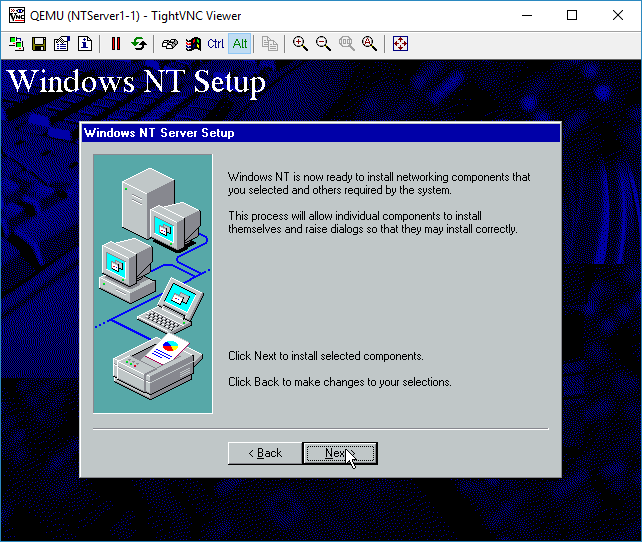 I went through the installation steps in the aptly name ‘Installing .NET 1.1 on Windows 10‘. post. 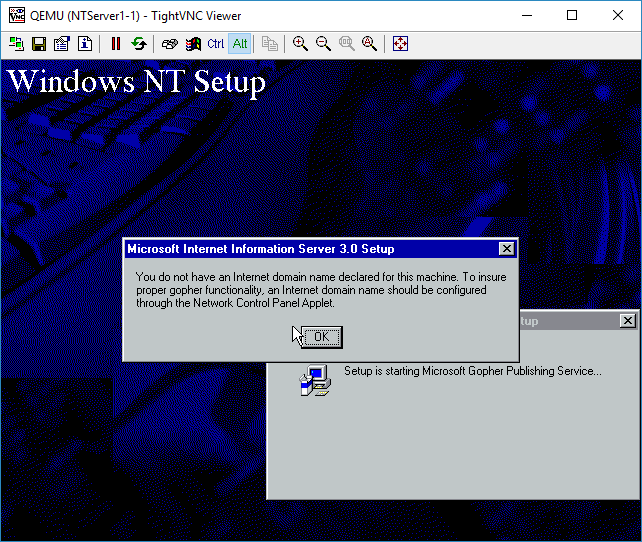 Of course you’ll need a place to run the vCenter server, I just setup a Windows 2000 server, installed SQL 2000, .NET v1.0 & v1.1 and then the Virtual Center component. 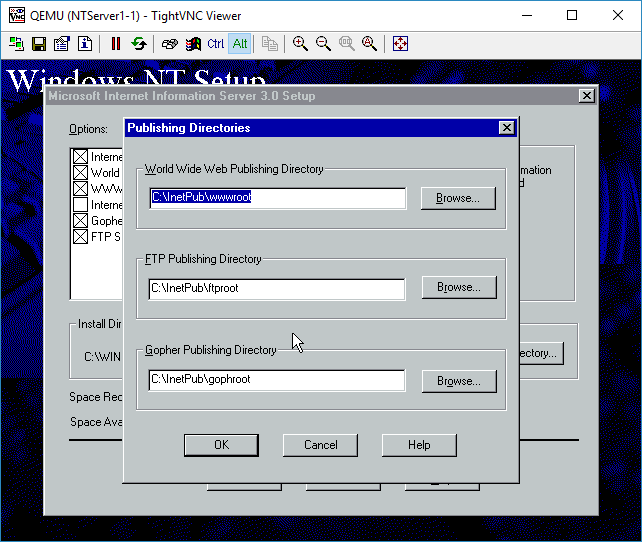 VirtualCenter relies on a database backend, and I thought it’d be interesting to look at the tables through MSSQL, although Oracle, Access and some generic ODBC are also options for this ancient version of VirtualCenter. For those who don’t know, VirtualCenter is the application that lets you build a ‘virtual datacenter’ join multiple ESX servers together, and more importantly orchestrate them together into a cluster, allowing you to vMotion VMs between servers, which of course is the ‘killer feature’ of VMware ESX. 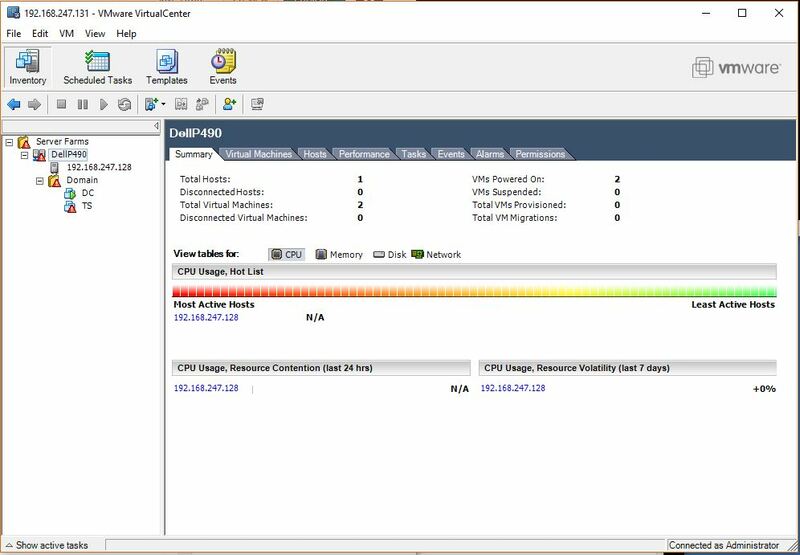 If you don’t have vCenter / VirtualCenter then you are missing out on so much of the products capabilities, which is sadly hidden away. I setup a tiny Windows NT 4.0 domain, with a domain controller, and a terminal server. 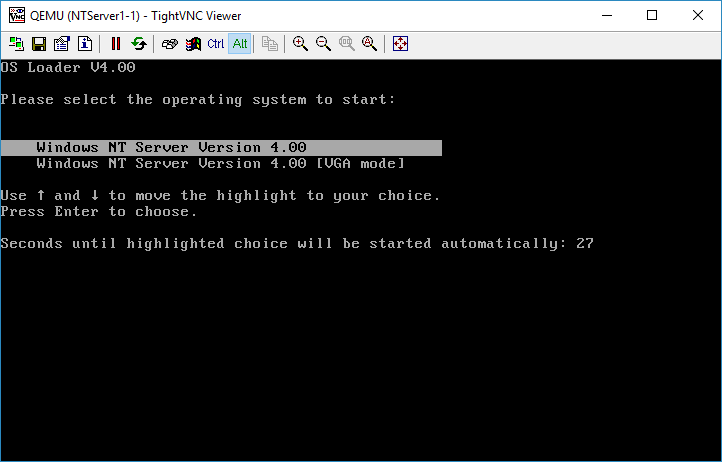 My host machine is a bit weak to setup more ESX hosts, as there just isn’t enough punch in the box. Although any modern machine will probably exhaust RAM before CPU running a mid 90’s workload. Back in the day, I had moved our entire DC onto 4 ‘killer’ machines with fiber channel storage and had consolidated the entire DC to a single cabinet. It was incredible that we were initially able to almost meet existing performance. Of course the killer feature again is vMotion so a year later, I only needed 4 new servers which was an easy budget ask, and in the middle of the day I vmotioned from the old servers into the new servers, and things across the board were now faster. Finally the bean counters saw the light that we didn’t have to buy faster gear for a single group, or that we no longer had the issues where we had ‘important enough’ to be in the data center but with no hardware maintenance, or proper backups. Now everyone is on equal footing and all the boats raised with the tide so to speak. In this quick re-visitation it would be fun to setup shared storage, multiple hosts and vMotion, but back in the days of ESX 2.5 there was no support for having VMFS over NFS or iSCSI. 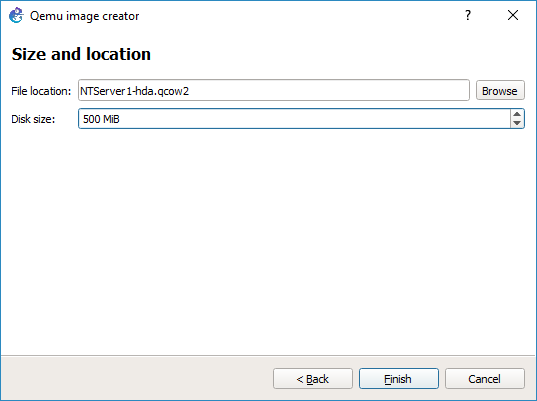 As much as I’d love to use the Dr Dobbs iSCSI Target Emulator, it just sadly isn’t an option. 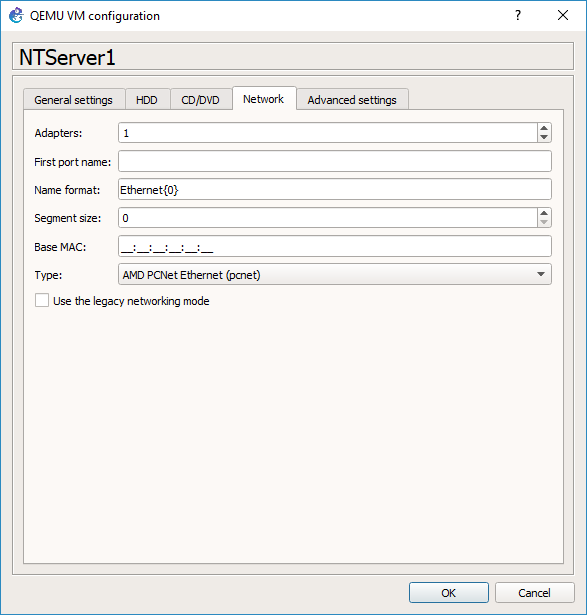 The ability to move beyond Fiber Channel shared storage (or other supported dedicated host bus adapters) was added in version 3, greatly expanding the capabilities of ESX. Obviously the career mistake here was to be a happy Admin, and concentrate on other things as now the infrastructure ‘just worked’ and it freed up an extraordinary amount of time. 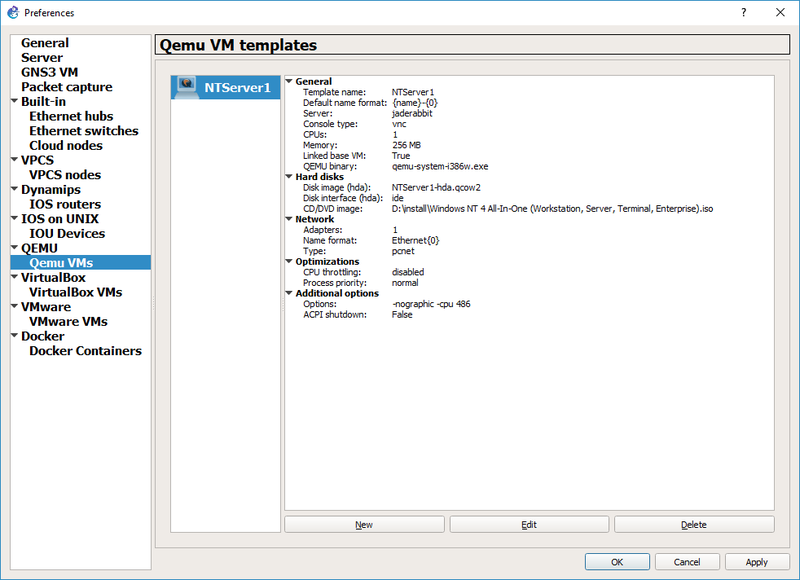 The smarter people were either taking these types of experiences and turning it into a consultation gig (low effort) , or taking lessons learned in VMware space, and focusing them onto QEMU/KVM and building libre infrastructure (high effort). Such is life, be careful riding those trendy waves, eventually you have to either lead, follow or just get out of the way. 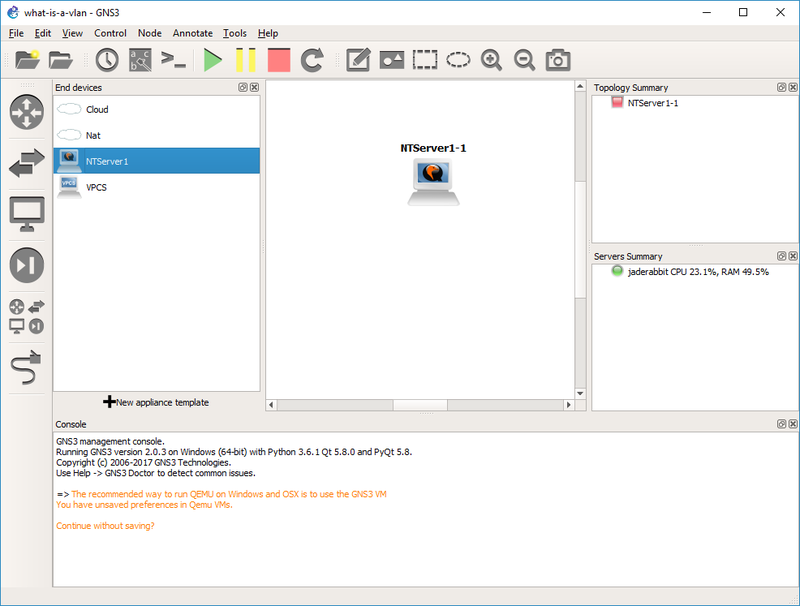 It’s been a few years since Tenox had mentioned OpenNT 4.5, and in that time the project pages, repositories and well just about everything has vanished. It seems that the hardest thing to do with OpenNT had become finding it. Then I found this over on vetusware, and with my curiosity piqued, I thought I’d check it out. 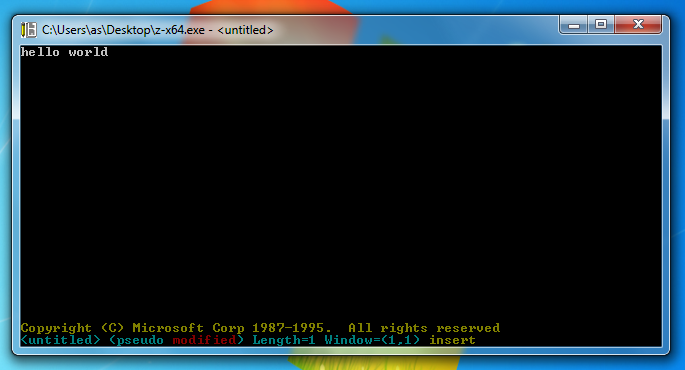 As mentioned the first thing to do is combine the parts, and create the single 7zip file, and then extract that. copy /B "OpenNT45(Source).z00" + "OpenNT45(Source).z01" + "OpenNT45(Source).z02" "OpenNT45(Source).7z"
Extracting that will give a simple ISO file, weighing in at 1.7GB! xcopy the CD onto a ‘W’ drive, or subst any other drive to ‘W’ as apparently the build process requires it to be on W. Did I mention that the CD needs to be copied onto the W drive? run zTESTBUILD and do a clean build. It will run and eventually fail. So with those points basically figured out after the fact, let’s go! 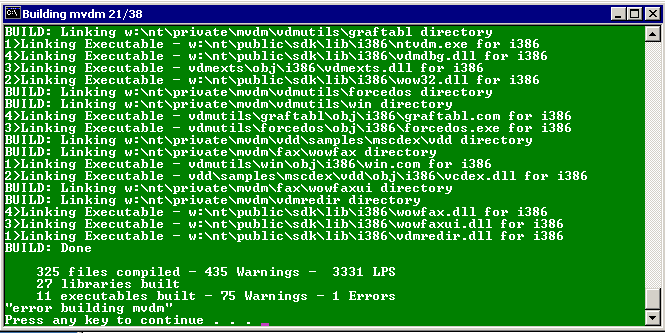 The first thing to do is either create a VM to compile this in, or just xcopy and go. 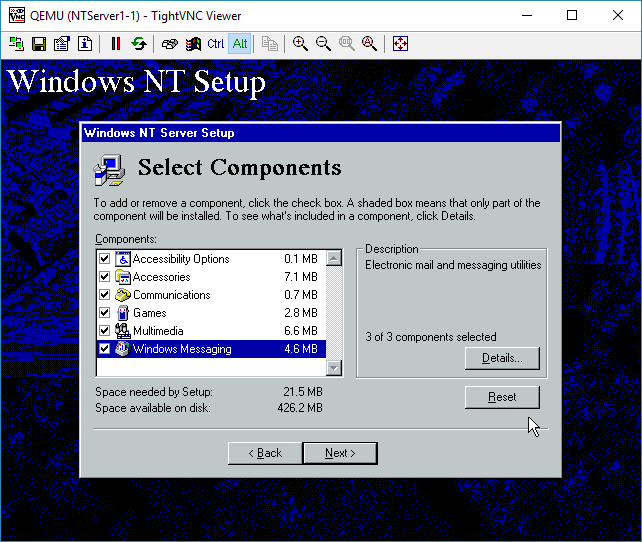 The big requirement though is that it must be a 32bit version of Windows, as part of the build process requires the ability to use NTVDM. For simplicity sake, I chose Windows 2000 server, so I could allocate 2GB of RAM, and 4 CPU cores. During the build it doesn’t use that much memory, cores are more so important during various phases of the build that can seemingly use any and all cores, while various other parts only run on a single core. OpenNT disk space after a build. 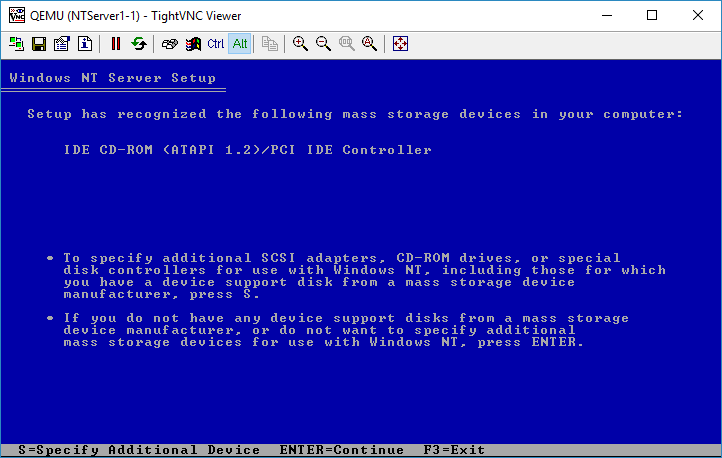 I chose to use a separate ‘C’ drive, and ‘W’ drive for the 2000 VM. 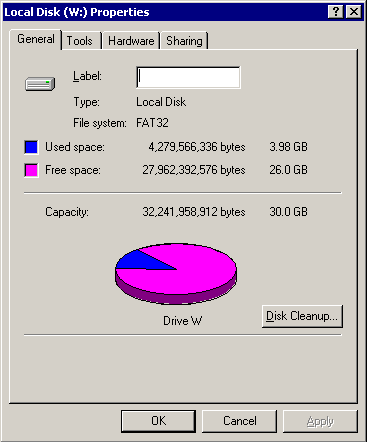 With no idea how much space to give it, I setup a 32GB W drive, which after the build takes up just under 4GB of space. 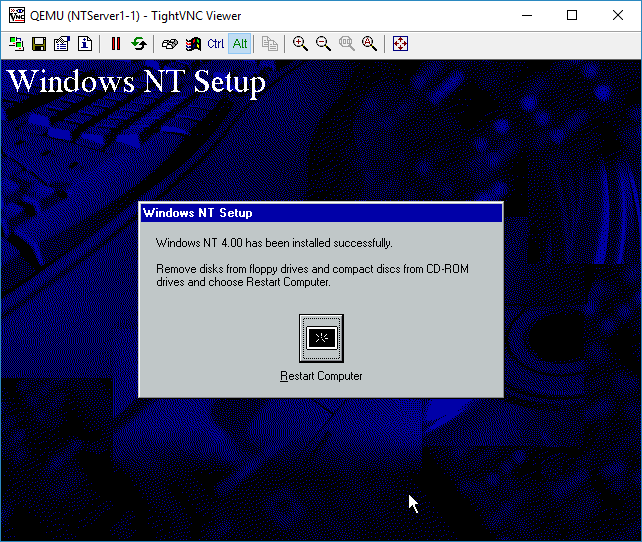 With the VM installed, and the W drive formatted, and the contents of the CD copied over, it’s time to start the build. 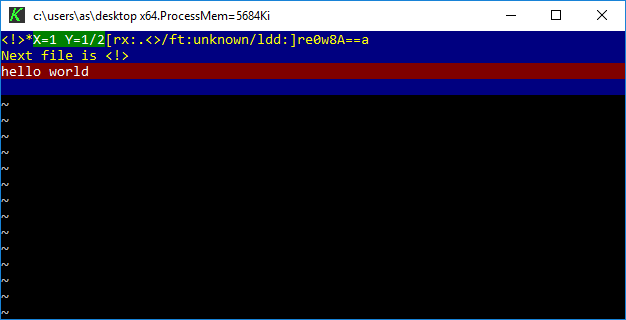 So basically you just answer ‘Y’ to zTESTBUILD.cmd and it’ll do it’s thing. For me this took about 42 minutes for this to run until it failed, as expected. Looking at the \binaries\nt directory there was now 1,274 files currently built. Naturally with the failure this is not a complete build. 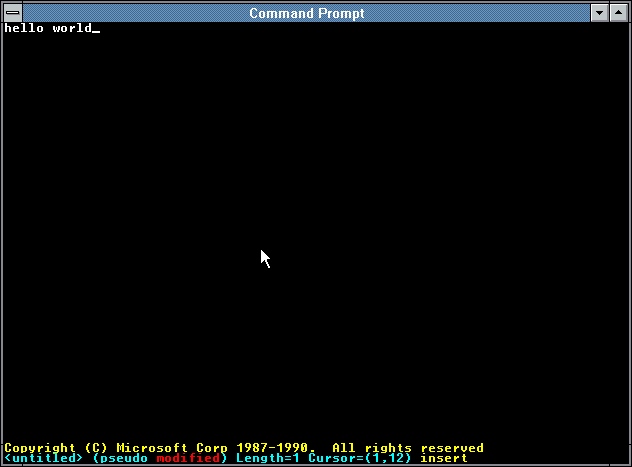 After this failure you then re-run zTESTBUILD.cmd but this time answer ‘No’ to the clean build. This step took about 15 minutes to complete. 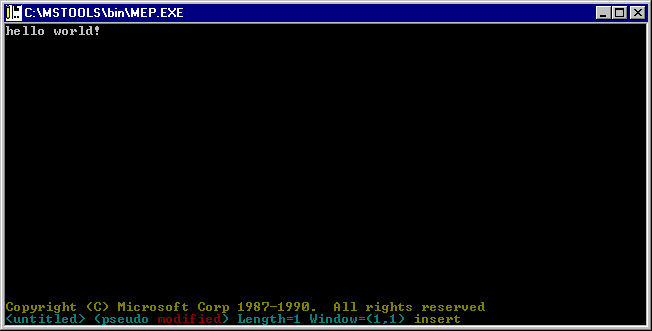 The \binaries\nt directory now has 1293 files. 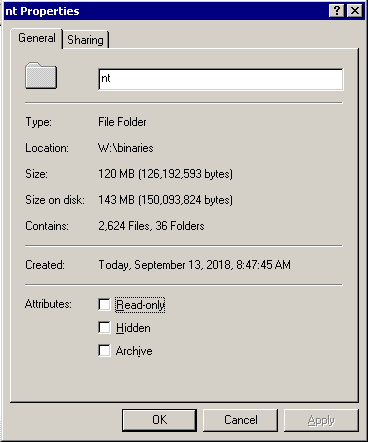 Checking the binaries\nt directory there is now 1,293 files and looking at the entire directory there is 2,624 files taking up about 120MB of space. 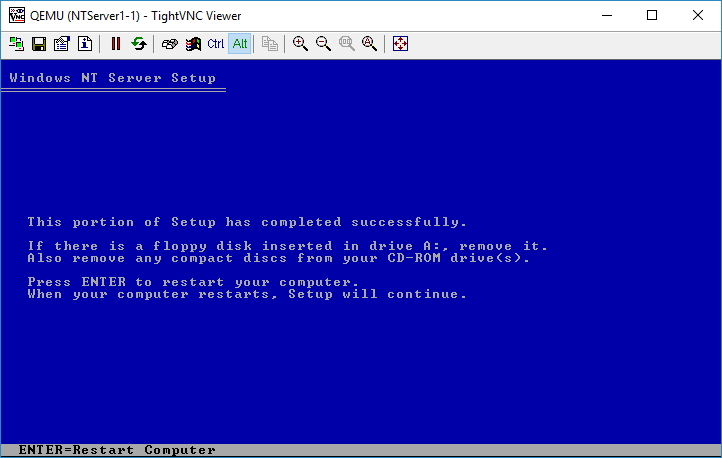 With the OS compiled, all that remains is to create an install CD and boot it up. running \cdimg\genall.cmd will create the ISO image. This will compress almost all the files, and took another 15 minutes to create the CD. 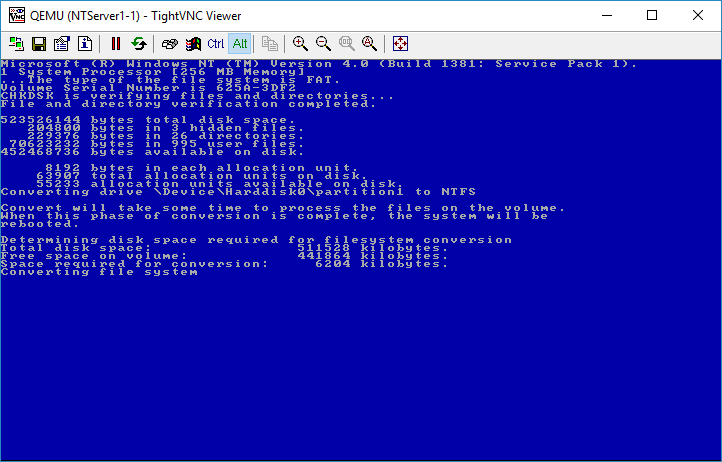 After this is all done it’s just a matter of setting up a VM to run the NT45Wks.iso file. The first thing you notice is the extra banners on OpenNT 4.5, when compared to a retail copy of NT 4.0. And of course the different branding during setup. 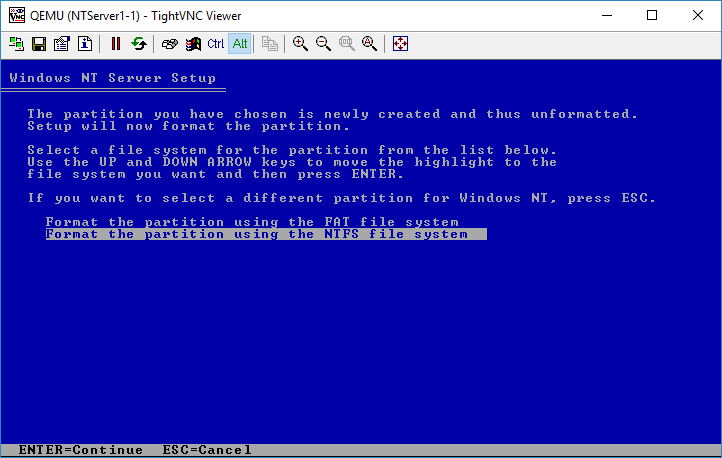 One of the nice things about OpenNT is that it can format filesystems directly as NTFS, instead of the old way of first creating a FAT partition, and converting it to NTFS. 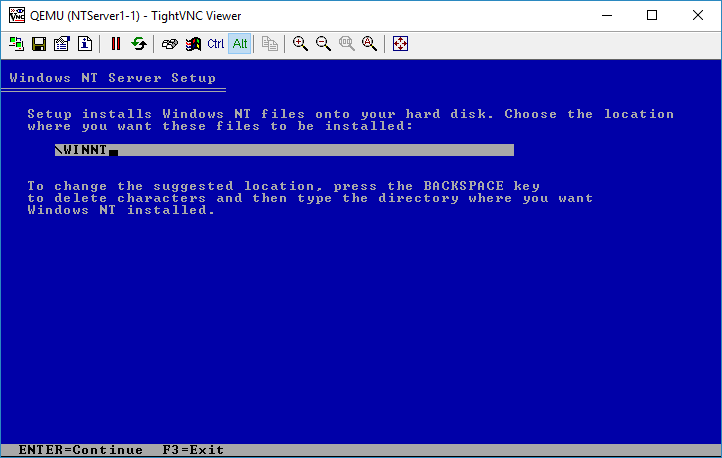 This ought to bypass all the limitations of disk/partition sizes for the older NT. 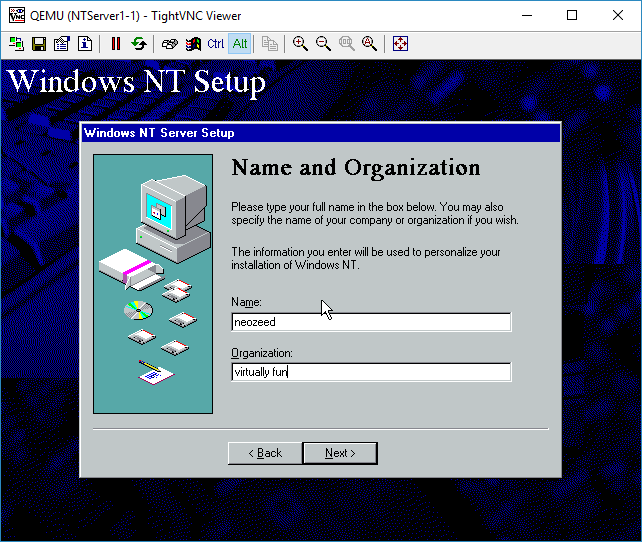 Running OpenNT 4.5 on VMWare seemed to run the Win32 stuff okay, although Win16/WOW stuff immediately crashed, and MS-DOS was incredibly slow with screen redraw issues. 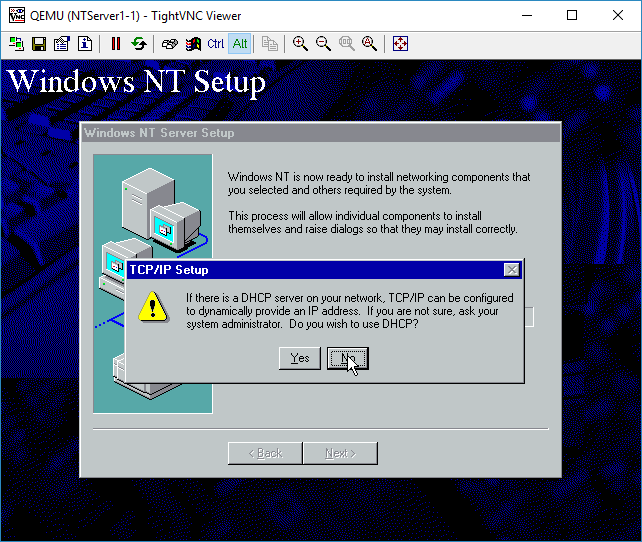 I know that NT 4.0 builds prior to SP 6 have issues with many newer emulation/hypervisors even when CPU levels are set to regular Pentium. 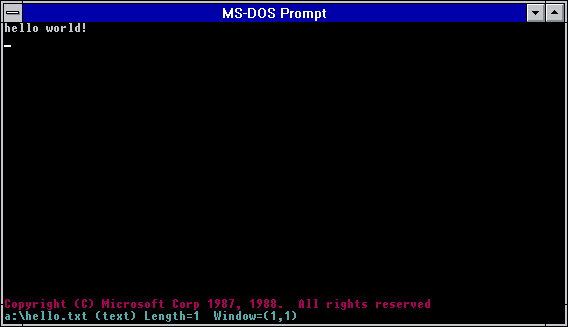 MS-DOS DPMI stuff like DooM are incredibly slow, and seemingly lock up when launching. 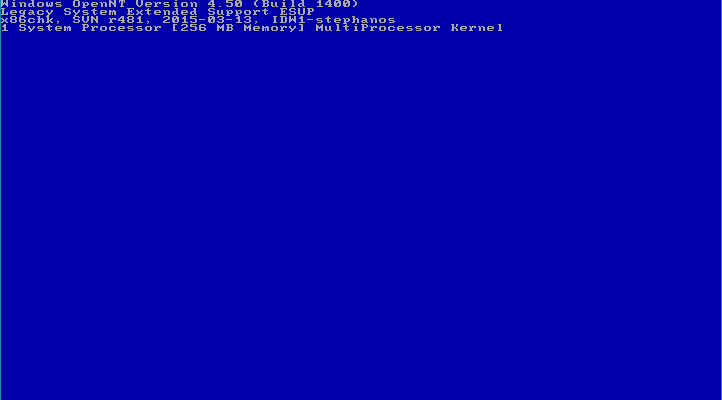 Oddly enough the OS/2 subsystem works just fine. 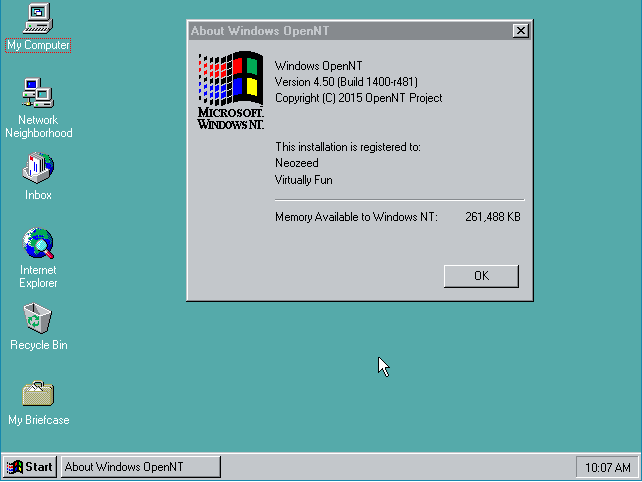 So there it is, the nearly vanished ‘OpenNT 4.5’. I’m a sucker for old / obsolete junk. 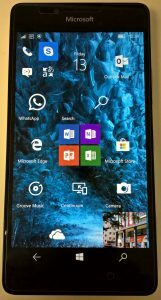 I was looking through an electronic market, and was near some used cellphone vendors and I saw this little gem, the Microsoft (Nokia) Lumia 950. I used to have a Windows 8 phone back in 2013, I picked it up in China on my accidental trip, the Huawei Ascend W1, which Huawei quickly dropped and distanced itself from Microsoft as a sign of the impending failure of Windows Phone. It was a barely serviceable phone, the music subscription service would frequently corrupt downloaded audio tracks constantly requiring me to reset the phone, and re-download over and over. Other than being part of the launch of the NT kernel on a phone it really wasn’t that great of an experience, but it was a budget phone so my expectations were pretty low. So I found this 950 for $400 Hong Kong, or about $50 USD. 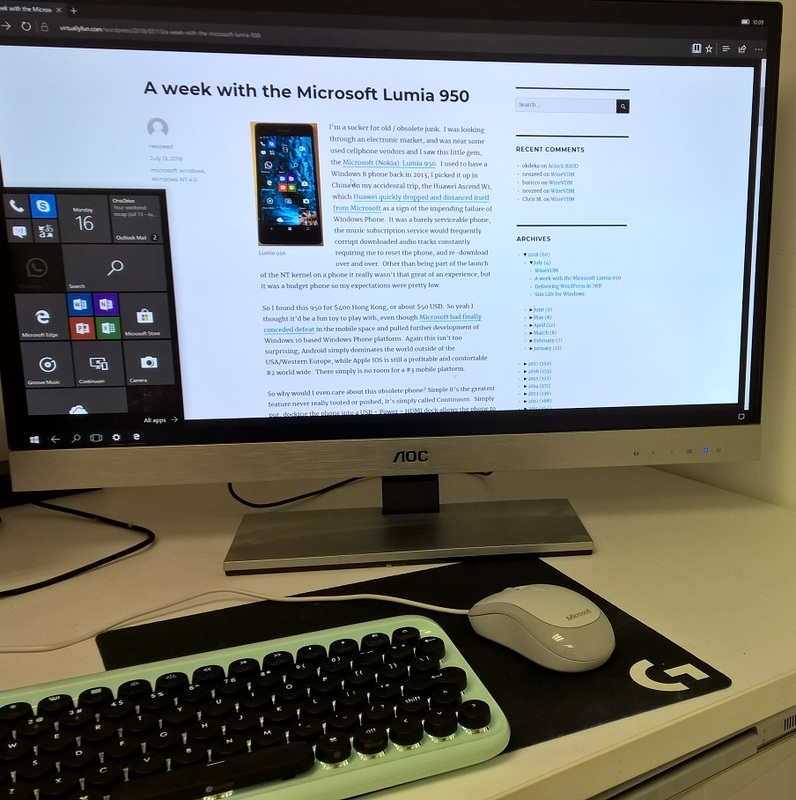 So yeah I thought it’d be a fun toy to play with, even though Microsoft had finally conceded defeat in the mobile space and pulled further development of Windows 10 based Windows Phone platform. Again this isn’t too surprising, Android simply dominates the world outside of the USA/Western Europe, while Apple IOS is still a profitable and comfortable #2 world wide. There simply is no room for a #3 mobile platform. So why would I even care about this obsolete phone? Simple it’s the greatest feature never really touted or pushed, It’s simply called Continuum. Simply put, docking the phone into a USB + Power + HDMI dock allows the phone to transform into a (limited) desktop. I know for most people it’d be “just get a real computer” but I have to say that this is one of those opportunities blown things in the fun world of corporate IT. You see many of us ‘desktop’ users have been reduced to glorified mainframe users, where our desktops are actually just access ports into products like VMWare VDI, where we no longer have VPN access in this brave new world, and on our local machines all we have if Microsoft Office, all 3rd party installations are blocked by GPOs. 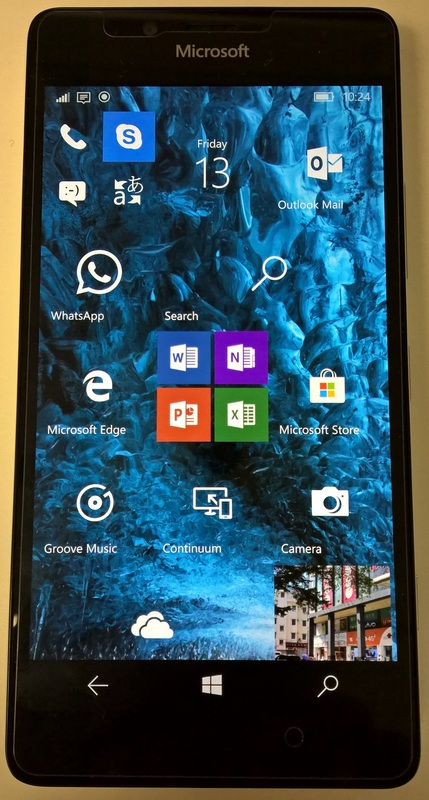 And this is where a corporate phone like the HP x3, Microsoft 950/950xl simply shines, as now we can dock and have that VDI terminal, we still can run office from the phone, and better we can unplug and take the phone with us on the go. I have no doubt that this was instead targeted to executive users, numbering in the tens instead of the entire back office in the tens of thousands. Well ok that’s all cool, but how does it function as a phone? I’ve taken call on it, and yeah it was OK. Looking at the hardware specs from AnTuTu gives you some idea of the class of hardware for this vintage October 2015 handset. From left to right, the Samsung Galaxy S8+, The Microsoft Lumia 950, The Nokia Lumia 1520, and a Microsoft Lumia 535. Three years is a LONG time in the cellphone market, and comparing a high end model to a mid range at best is just not fare, although if anything it really goes to show how 3D performance has picked up. 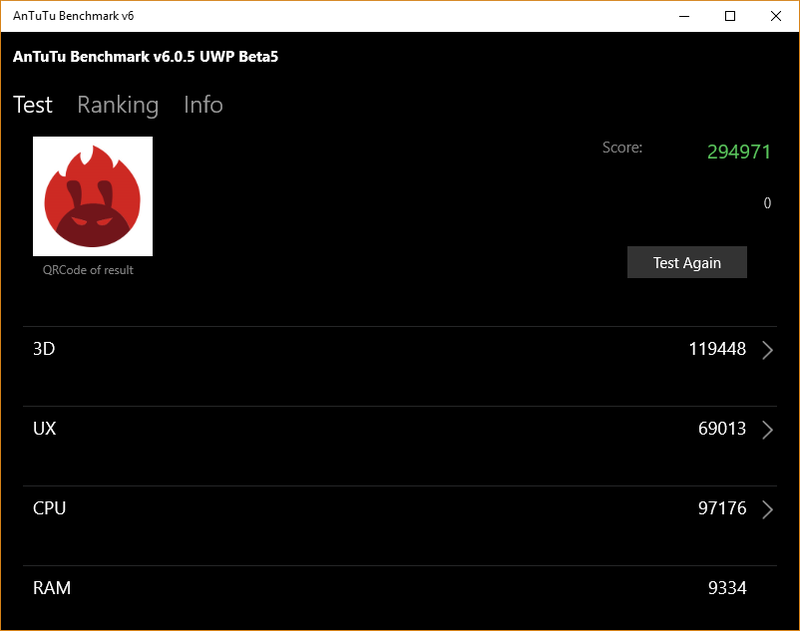 One fun thing is that since the AnTuTu benchmark is a Windows Universal application I can run it on my vintage 2010 MacPro and see how it compares! And in this case a circa 2010 Xeon with a Nvidia 1030 crushes cellphones. Even though it weighs significantly more. And then there is the apps. And the complete lack of. Since I go between Hong Kong & China the lack of WeChat makes Windows Phone 100% useless and reduces me to a feature phone with a nice camera. Obviously Microsoft Office works nice on here, but it also runs on Android & IOS just as well. I used it for work, and it was okay for me, but the lack of anything fun besides Minecraft was well.. sad. There was an Uber application, however it’s been terminated, and instead redirects you to use a web page instead. I was lucky in that I already knew where I was, and where I wanted to go, but the web interface to Uber is poor at best.  Looking around the map, or trying to pick locations on the web interface is just an all around terrible experence. 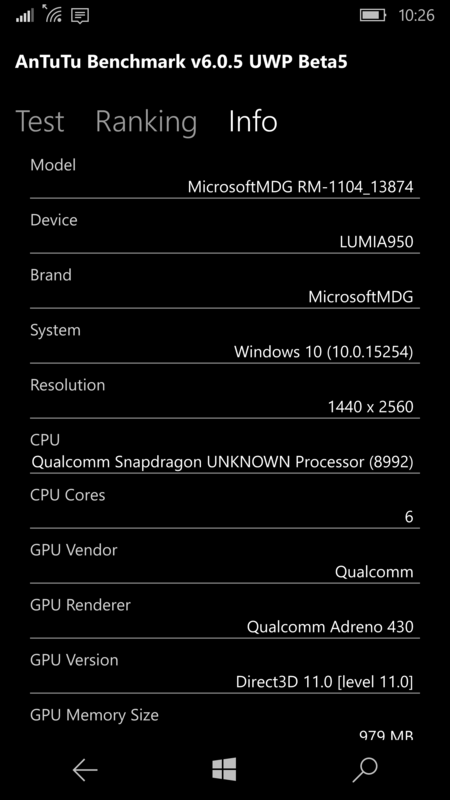 Naturally there are NO Google applications for the Windows Phone. So you can only view YouTube via Edge, which actually works surprisingly well. Even on a lowly 535 that really was only hampered by the tiny screen. Speaking of Google the Mail/Outlook program on the phone reads Gmail just fine. Another must have application for me is Google translate, which Microsoft certainly had no answer back in 2013, however there is now Microsoft Translator however it does NOT currently support OCR of Asian languages. Which is a really big disapointment as the quality of text translations felt better with the Microsoft app. That said, it is now available for Android and IOS, which goes to show that Microsoft really has no choice but to fully commit to abandoning their own platform. There is one thing to be said about having next to no applications which is it is very free of distractions, and gave me more moments to looking around at the world, instead of staring into a tiny screen. For those who care, here are some pictures from the 950. It’s always interesting when a major player falters and misses out on a new platform setting themselves up for obsolescence. And doubling down by not chasing the business market harder instead being happy to fade into irrelevance. Microsoft has done it’s best to take the success of crushing most midrange to small range UNIX with Windows NT, but the lawsuits against Linux have in the long term set them up to fail on their own island. Just as they have lost the mindset of generations of developers and even with their purchase of github in an attempt to stay relevent will be any indication if they really are going to long term exit the desktop/server market and become a cloud services company first, and a language developer second. The desktop is dead, long live mobile. 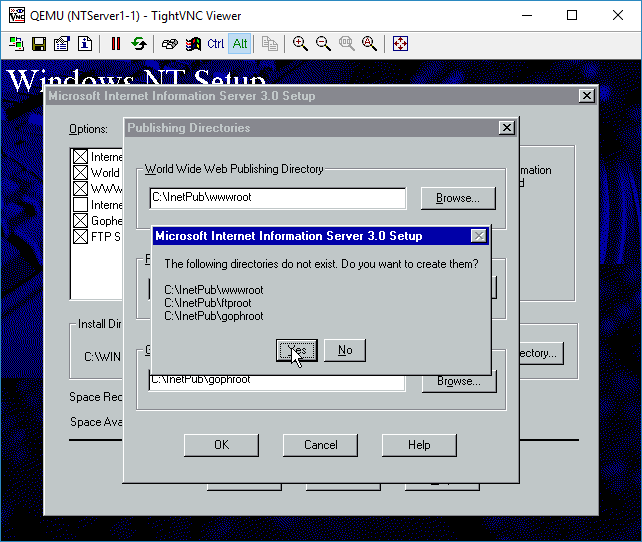 Author neozeedPosted on April 9, 2018 Categories microsoft, source code, Windows NT 4.08 Comments on WinFile comes back from the dead. In this post we are going to install Windows NT 4.0 Server into our VM. 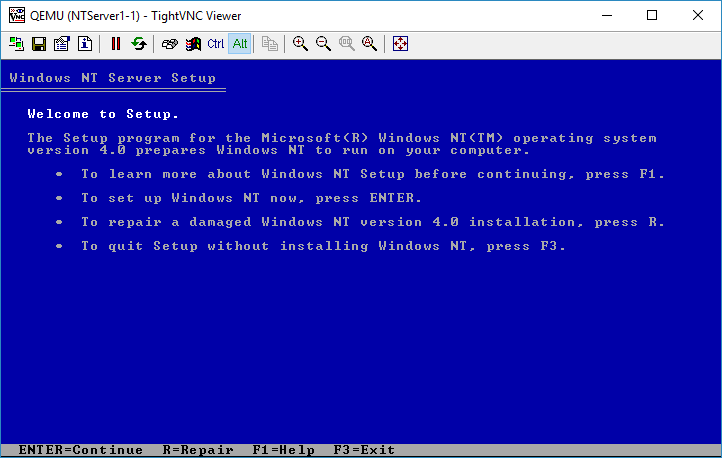 The first step is to turn the VM on. 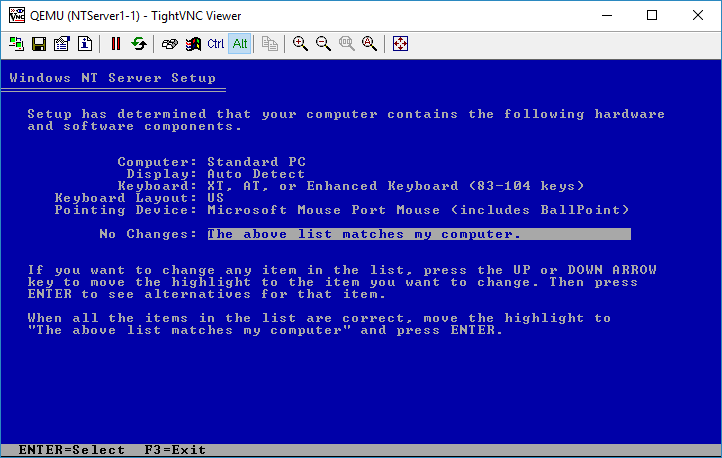 Simply right click on the VM, and choose Start. The red dot will then turn green. Although it may appear that nothing is happening we just can’t see it yet. Right click again, and choose the console, and VNC will then connect to the Qemu VM, and we can now interact with it. 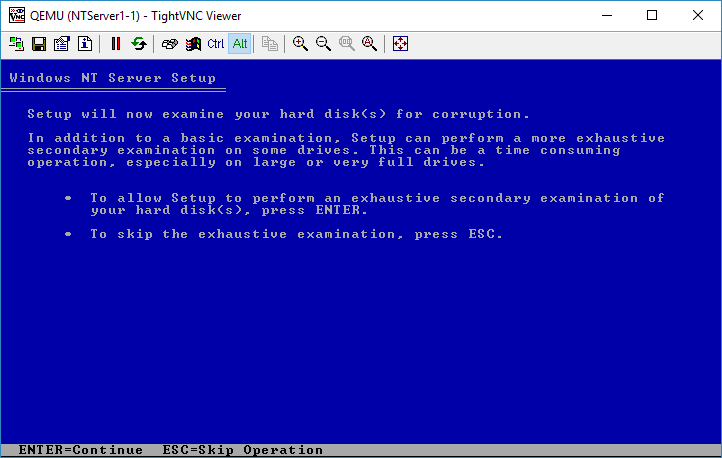 I chose NTFS for my server. Although I’m not interested in creating a domain, so FAT will work too. It really doesn’t matter. 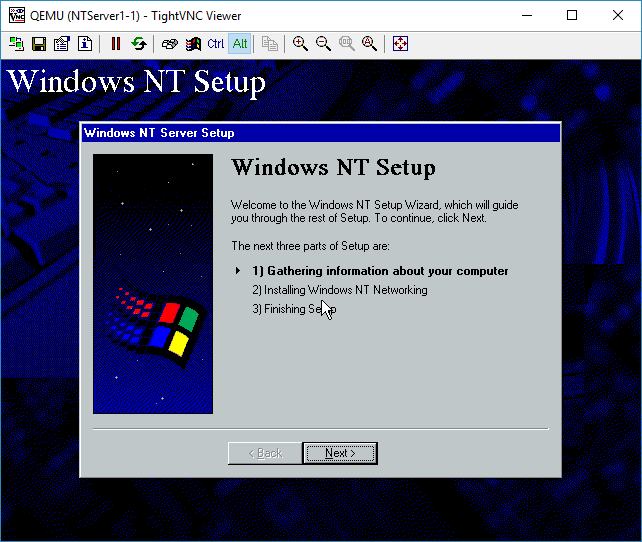 After the conversion, NT will reboot again, then it’ll continue the setup process. Otherwise you’ll just reboot directly into the graphical setup of Windows NT, and we can continue in part 5. In our previous post, we configured a Qemu template for Windows NT. With the NT template ready we will be prompted to give this project a name. 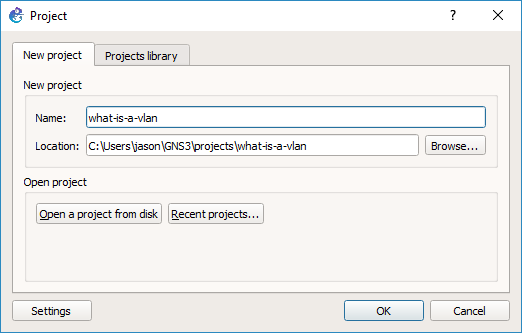 So I called this one ‘what-is-a-vlan’ sticking with the theme. Now we can drag components out. 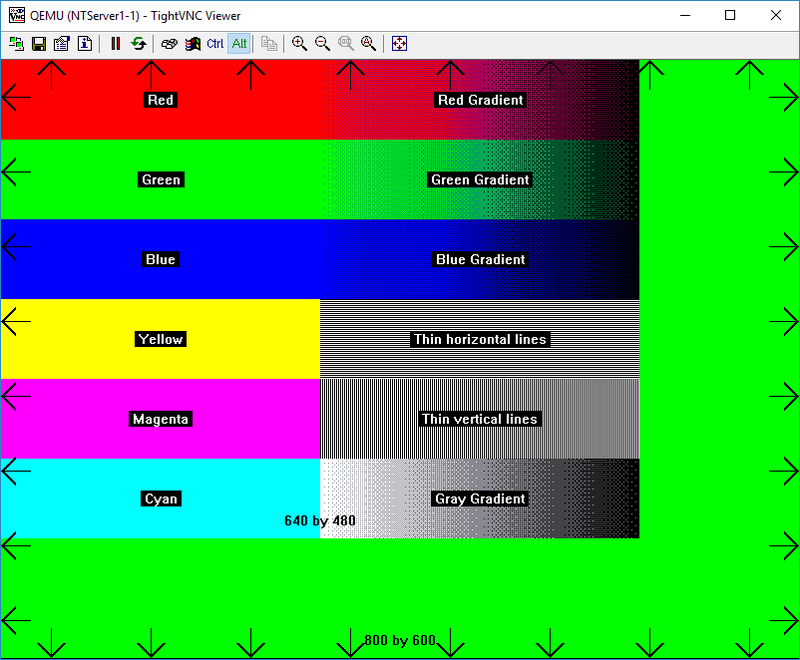 I selected the NT template that I’ve created, and dragged it out to the design pane. Now we have a computer! I then selected a simple Ethernet hub, to begin verifying that our configuration is working. Just drag it out to the toplogy pane. Now for the fun part, we are going to connect the Windows NT VM to the Hub. 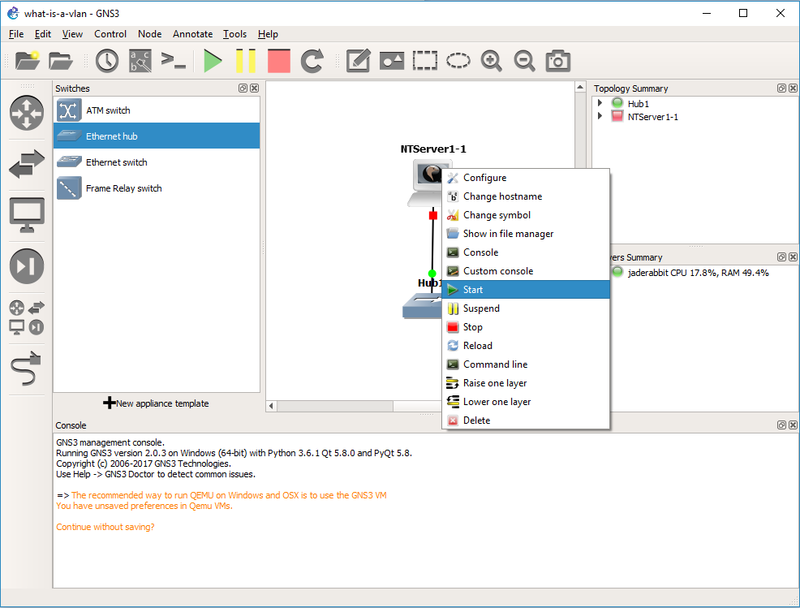 Right click on the Qemu VM, and it’s available Ethernet interfaces will pop up. It only has one, so select Ethernet 0. Now you can select the Hub to complete the connection. Hubs repeat every packet they receive, and don’t change anything. They offer zero intelligence, and have no way to save you from yourself, if you do anything stupid (see creating a loop). 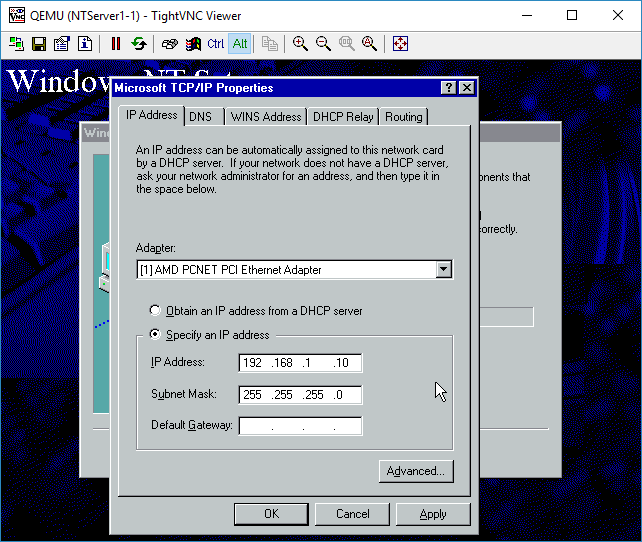 Every packet that comes into a hub is sent to every port going out. They don’t care about protocols, or anything they just simply repeat. So this will be our simple network. The next thing to do is to turn on our PC, and install Windows NT 4.0. I’ll save that for the next step which you can follow here. If you don’t care about installing Windows, then you can skip to the following step where we will do a simple packet capture of the NT machine connected to the hub so we can observe how it’s packets look. 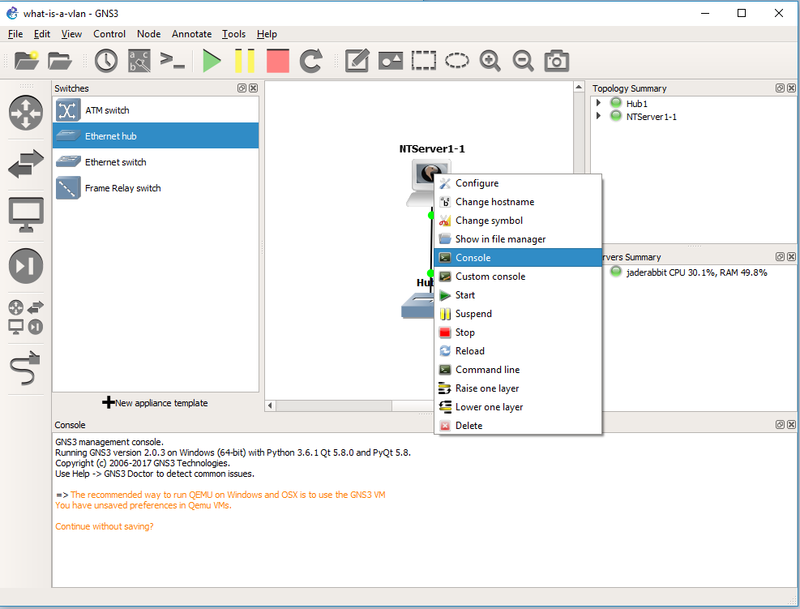 In the last post, we quickly went over the default install of GNS3. We are now going to configure a QEMU template for Windows NT. 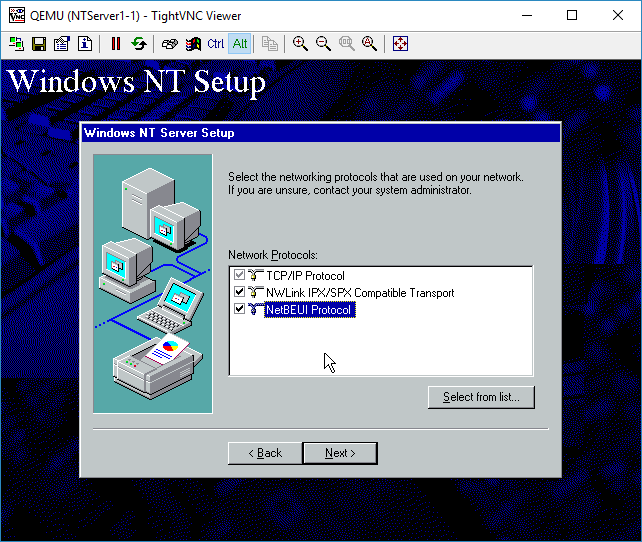 I’m going with Windows NT as its pretty resource low, has TCP/IP and other protocols like IPX/SPX which can be routed and NetBEUI which has to be bridged. Although we do get this warning, it really doesn’t matter. NT runs fine. The default 256MB of RAM is more than enough. The default options are fine. The default name is fine too. We do however need to make some changes. The network card needs to be the AMD PCnet version, and we need to add an additional flag to Qemu to restrict the CPU functionality to a 486 so that NT will install without any issues. So the networking tab will let you change the type. AMD PCNet is the one that is supported out of the box, and verified working! 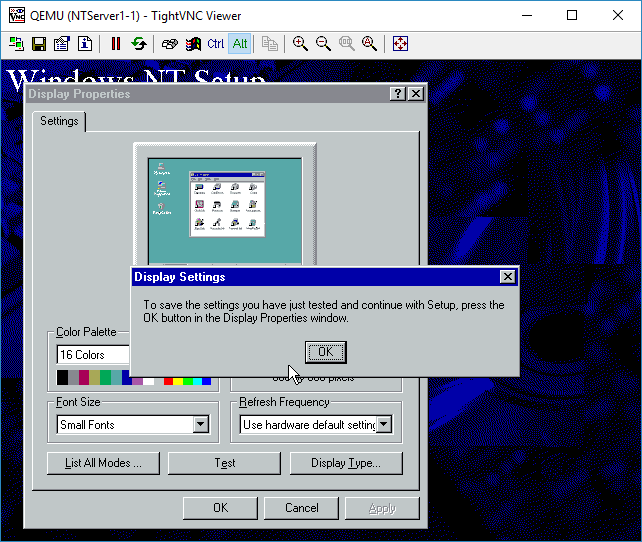 On the Advanced settings tab, is where you can add the -cpu 486 flag, as indicated above. 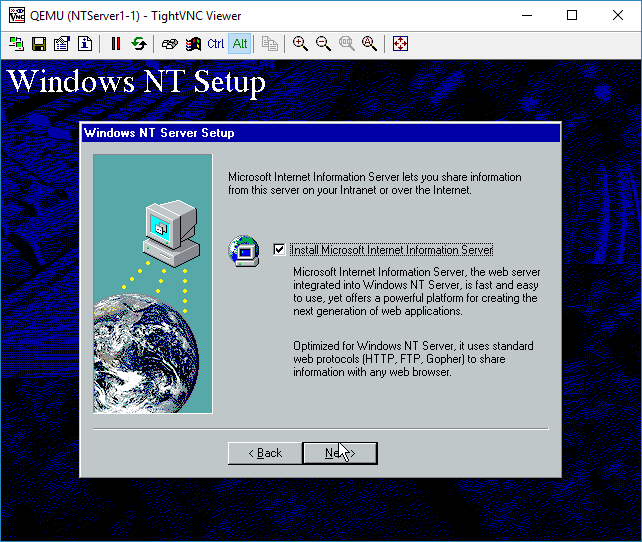 On the CD/DVD tab, you will want to point it to an ISO of Windows NT. 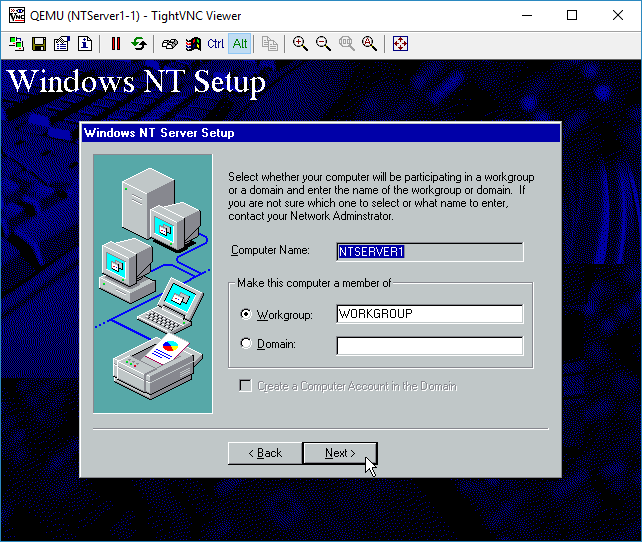 It doesn’t matter if it’s Workstation, Server, Enterprise, Terminal Server. They all install the same. 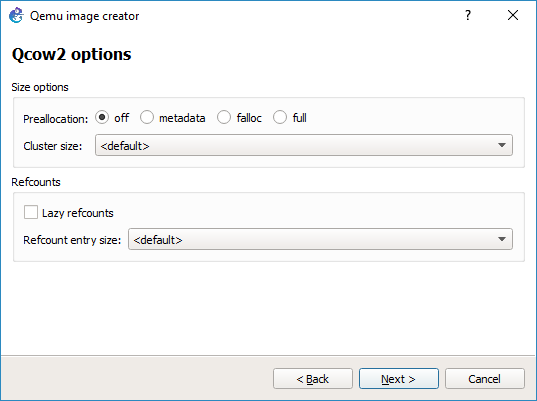 It will prompt you if you want to copy the ISO into the default images directory. It really doesn’t matter one way or the other. 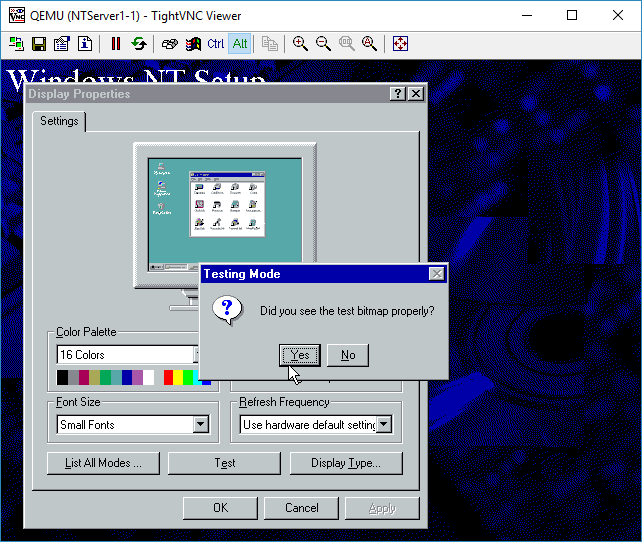 Now the image is configured for NT. Now we can continue to building our first topology (AKA Part 3).